In your WordPress admin, go to Plugins > Add New > Upload. Find the zip file of the plugin files and upload it to your site. After you upload the plugin you can activate it. 1. 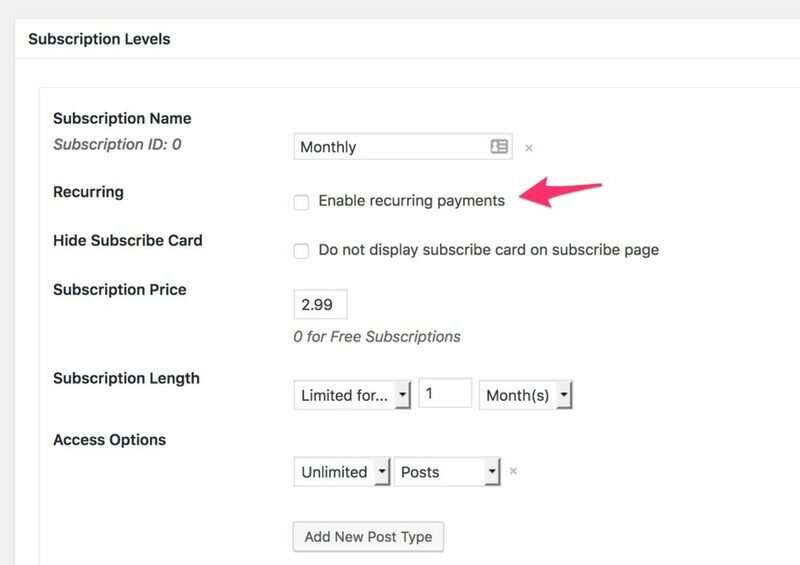 After you install and activate the Recurring Payments plugin, you will get a new option on the level settings for Leaky Paywall. You can choose to set a level to use recurring payments by checking the box. This works for both Stripe and Paypal. 2. 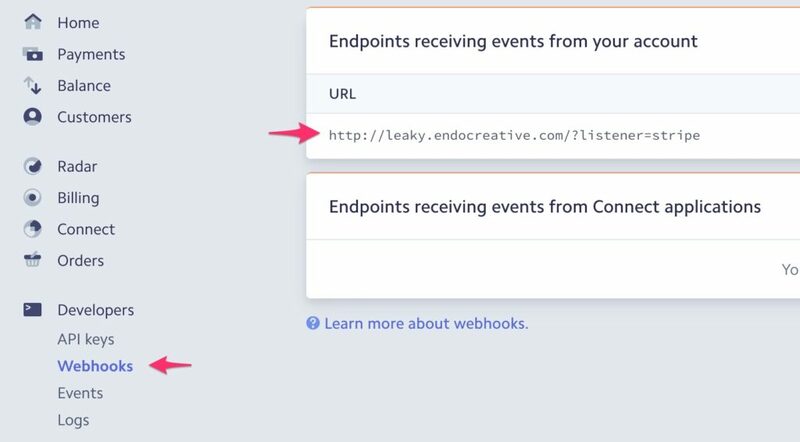 In Stripe, add webhooks to receive data when a recurring payment is attempted by Stripe. This is needed in order to ensure Leaky Paywall knows when a new payment has been made. 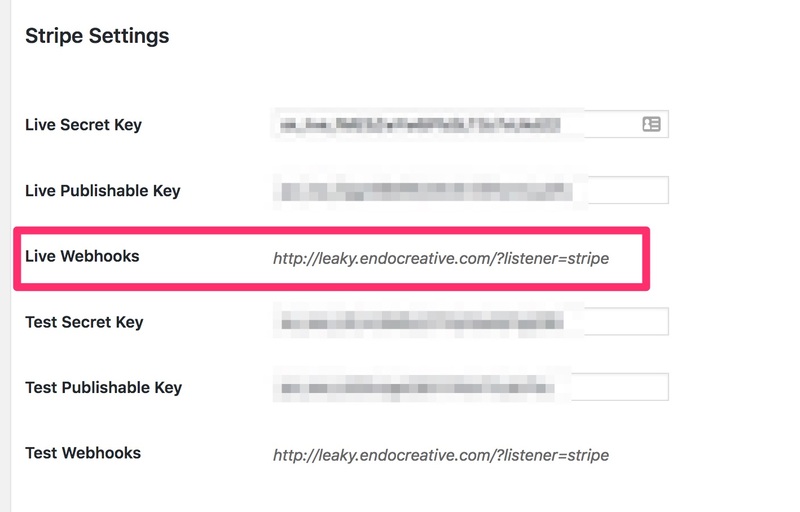 You can find the webhook URL under Leaky Paywall > Payments > Stripe Settings. 3. 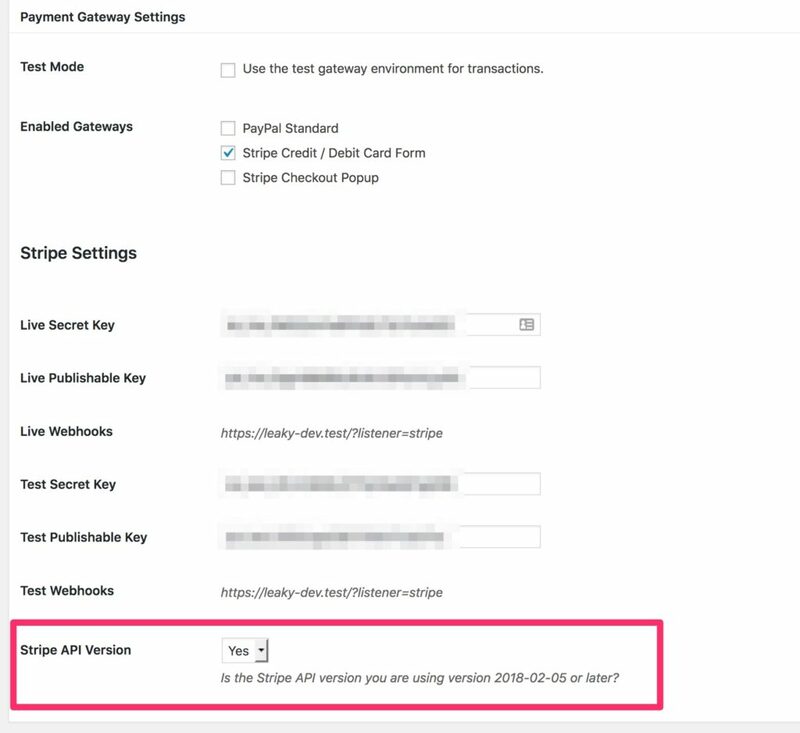 If using Stripe, set the API version. 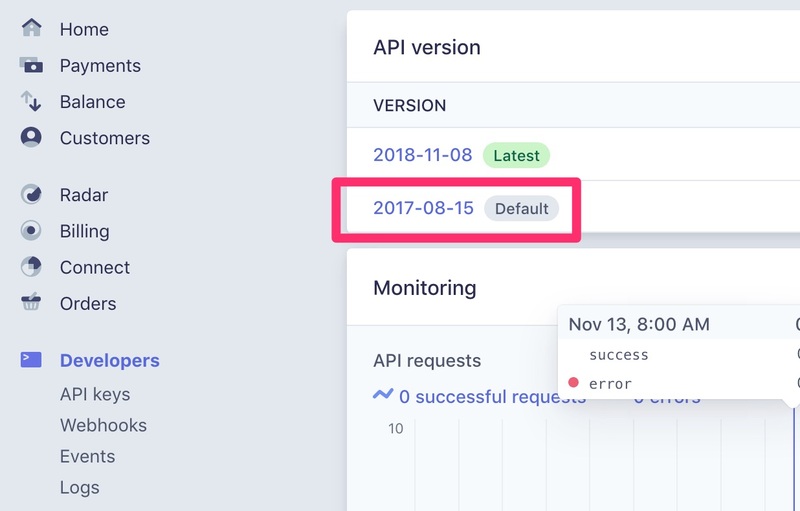 You can find the Stripe API version you are using in your Stripe account under Developers > API version. The one with the word “default” next to it is the version you are using.